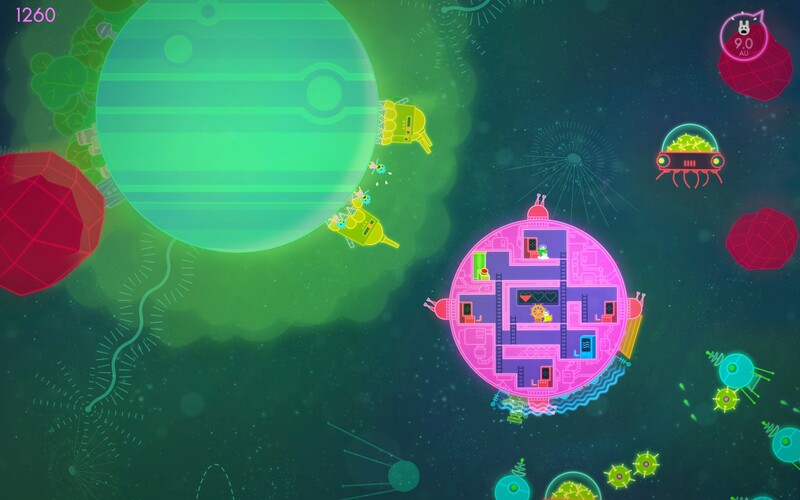 We saw Lovers In a Dangerous Spacetime at E3 2013 this year and, well frankly, we fell in love with it so much we nominated it for a Co-Op Game of Show award. 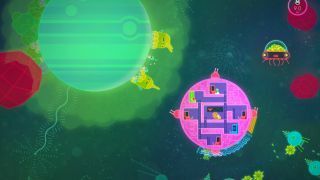 The game is still in active development for PC with a release date sometime later this year, but two new screens have surfaced exciting us for what's to come. The screenshots show off some of the new planets you can discover on your voyage across the neon colored galaxy with your local co-op partner. 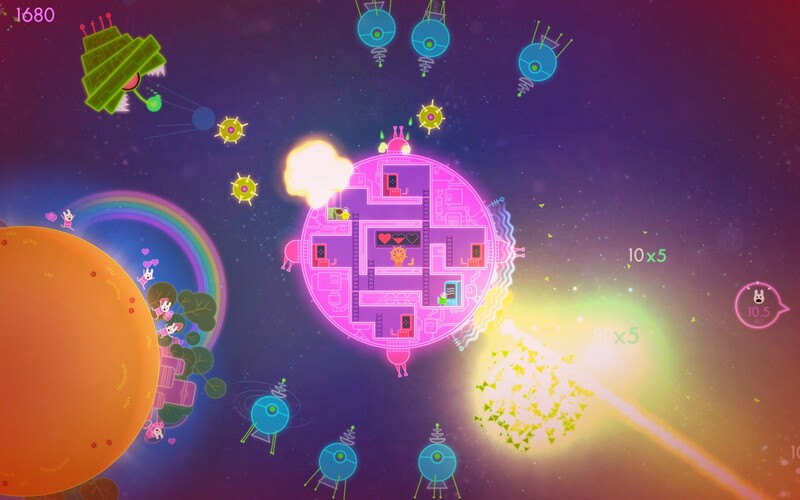 You'll discover exotic birdfolk and other strange aliens that you'll want to save - or - "accidently" laser. 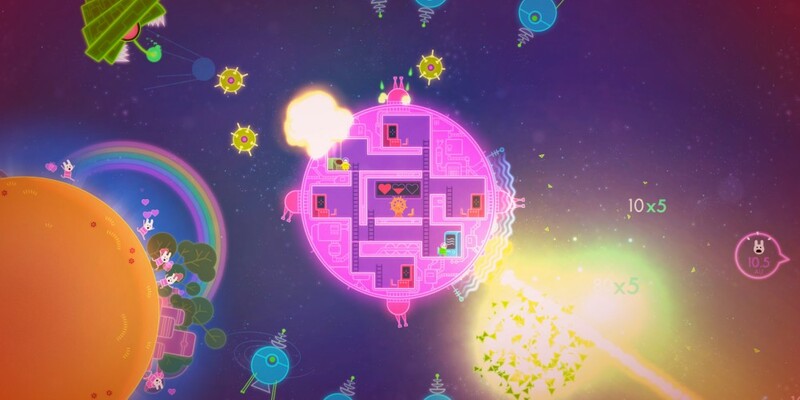 The choice is your platform around your Death Star like ship controlling guns, defenses, and piloting. 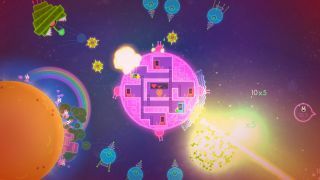 If you're looking for more Lovers in a Dangerous Spacetime goodness, look no further than our video interview with the two lovely developers of Asteroid Base.